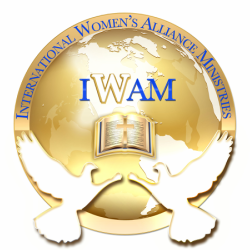 VIP Membership Registration - International Women's Alliance Ministries, Inc.
fifty percent off (***50%) promotional for vip membership from July 1, 2014 through december 31, 2019.
full price begins January 1, 2020...join now! Note: to make your payment of $250.00 after you submit your membership registration form, go to the store listed in the drop-down menu under contact and click on vip membership. credit cards accepted. Please provide the name of your ministry and mission and web site, if available for our database.